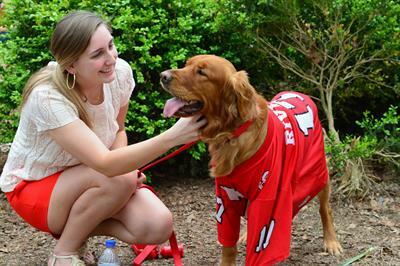 Wag your tail all the way to Cape Fear Botanical Garden April 6th from 11AM to 5PM! Dog Day in the Garden is a special opportunity to bring the whole family, dogs included, to the Garden for a paw-sitivley paw-some day! You and your pup will have a belly scratchin’ good time while learning about all the wonderful work FAPS does. Vendor space and sponsorship is available by emailing kstern@capefearbg.org. EVENT DISCLAIMER: By participating in Dog Day in the Garden you agree to be responsible for the welfare and safety of your dog(s) at all times, for any injury or damage to your dog(s), and for any disappearance, theft, death or otherwise of your dog(s) while at the event. Participants are required to properly supervise and maintain control over their dog(s) at all times, and in the interests of hygiene are required to pick up after their dog(s). 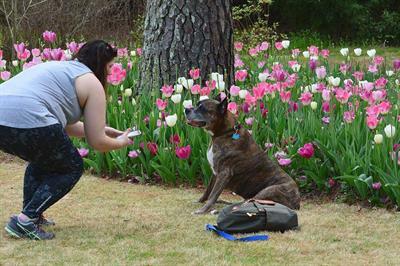 Participants agree that they should be solely liable for any damage or injury to persons or property caused by their dog(s) while at the event, and participants agree to indemnify and hold harmless Cape Fear Botanical Garden and Fayetteville Animal Protection Society for any and all costs or damages caused by participant’s dog(s). Any photos taken by the event sponsors of the participant’s dog(s) while at the show may be used in future promotion of the show. Visitors are reminded that the terrain of the show may be unstable so please be aware of the possibility of slips, trips, and falls. By entering and participating in the show you agree to the above disclaimer and that any photo images taken at the event by the event sponsors may be used as stated above.